The residents of Maiduguri, the capital city of Borno State have been thrown into confusion and panic of the unknown. 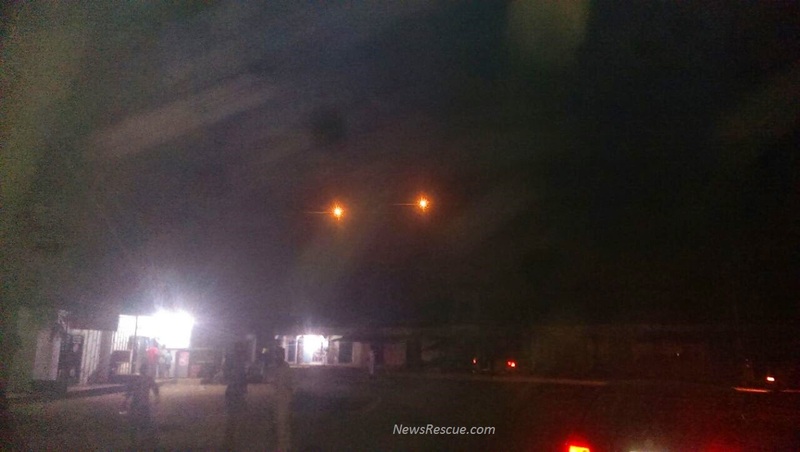 This night, two twin-lights appeared for at least 30 seconds in the sky above Maiduguri Wednesday night. At first resident thought it was a surveillance aircraft, however after observing that it was stagnant and not moving, everyone start running for their dear life thinking it is an attack. The military did not give any formal prior information that it is testing its equipment. Sources from the military later on said they are not even aware of the twin-lights. Additionally, aircraft lights are not expected to stay stagnant as this was. Witnesses said whatever it was was completely silent. The Civilian JTF have vowed to keep vigil because the Military is no more to be trusted again.